How to insert the D6 data cable into the extruder ? How to tighten the locking bolt between the driving system and nozzle ? How to eliminate the Aka sound from the X and Y axis bearing bracket ? How does a Wanhao Duplicator 6 working and printing a rhino ? How to add Wanhao Duplicator 6 rubber feet ? How to clean the jam of WANHAO D6 MK11 extruder? How to disassemble the MK11 extruder ? How to fix the D6 heating board keeps heating without stop? How to fix D6 heating board thermistor broken ? How to fix D6 warning message” error stopped, temp sensor ” ? How to fix D6 warning message” error stopped, Z switch broken ” ? How to replace the side flat bearing of D6 ? How to dis-assemble the D6 platform ? How to assemble the D6 platform ? How to reconnect the D6 OLED display yellow data cable ? How to fix the filament break inside extruder(amount block) ? How to by pass the relay on the D6 motherboard ? How to use D6 auto bed leveling and manual leveling ? How to eliminate the strings by adjusting the retraction ? How to make perfect first layer ? How to insert the Duplicator 6 data cable into the extruder ? How to tighten the locking bolt between the driving system and nozzle on D6 ? How to add Wanhao Duplicator 6 rubber feet? How to clean the jam of WANHAO Duplicator 6 MK11 extruder? 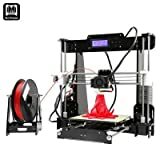 How to disassemble the MK11 (MK10) extruder ? How to fix Duplicator 6 heating board thermistor broken ? How to fix Duplicator 6 warning message” error – stopped, temp sensor ” ? How to fix Duplicator 6 warning message” error stopped, Z switch broken ” ? How to replace the side flat bearing of Duplicator 6 ? How to dis-assemble the Duplicator 6 platform ? 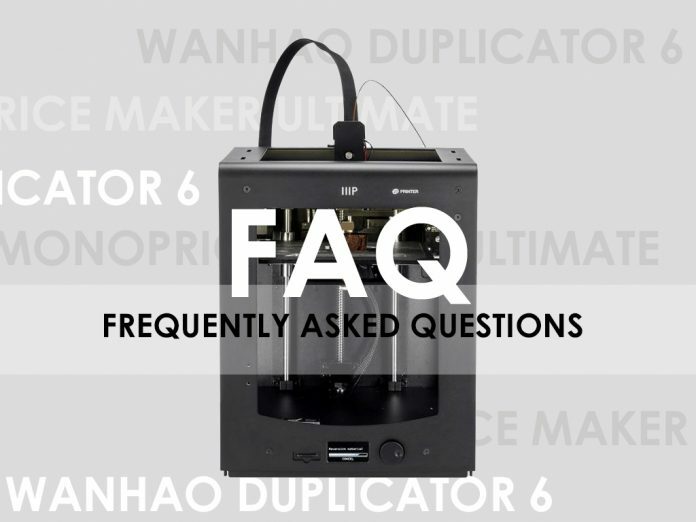 How to assemble the Duplicator 6 platform ? How to reconnect the Duplicator 6 OLED display yellow data cable ? How to by pass the relay on the Duplicator 6 motherboard ? How to use Duplicator 6 auto bed leveling and manual leveling ? THIS IS A LIST OF THE CURRENT ISSUES AND IMPROVEMENTS THAT CAN BE MADE TO THE D6 TO MAKE IT A FORMIDABLE PRINTER. IF ANYONE HAS ANY OTHER SUGGESTIONS PLEASE LIST THEM BELOW. Filament load process – currently the Material, Change process follows a Bowden tube load (slow, fast, slow) despite the D6 not being a Bowden tube machine. Platform lowering – At the end of each print the build plate does not lower to the bottom of it’s travel. 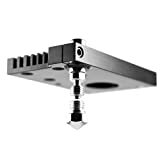 Also, if you choose Maintenance, Advanced, Lower Buildplate the build plate rises, lowers, rises again the lowers and stops just 50mm below the nozzle. Version – choosing Version in the Maintenance, Advanced menu currently blanks the screen and jumps back to a previous option. Print cooling – the current single head cooling fan is drastically insufficient to provide small quality prints. The machine needs to be fitted with dual fans as standard to provide best print quality. Filament tube guide – the machine should be provided as standard with a filament feed tube from the rear of the machine to the extruder head. The case hole for a tube guide is there but no hardware (mount and tube) is provided with the machine. 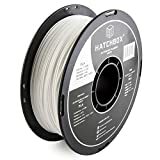 Filament spool holder – the one supplied is too short for many filament rolls, particularly those of 1kg+ size. 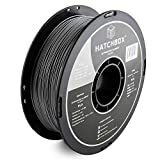 Ideally 2 lengths of spool holder (short and long) should be provided with the machine. Rubber feet – the lower edges of the machine frame is plain metal. The corners should be fitted with flexible feet to protect the surface and also to reduce vibrations. Is there a video or written instructions for removing the extruder assembly from the D6 printer? I need to extract 3 of the 4 stripped bolts holding the assembly together on the rails.